The country appears to have dodged the ‘junk’ investment bullet again for now. A month of bad news from Eskom regarding its generating capacity saw South Africans worry that the last of the big three ratings agencies, Moody’s, would lose faith in the country. The US-based agency on Friday kept its Baa3 rating and stable outlook by simply skipping its March 29 assessment. #Moodys has just dropped, and I think we’re in the clear. We’re not on watch, our outlook is stable, however our rating remains at Baa3, just above junk. A short note was issued at nearly 1am SA time, Saturday morning, explaining the fact that the country had been among other entities skipped for assessment. No reasons were given. 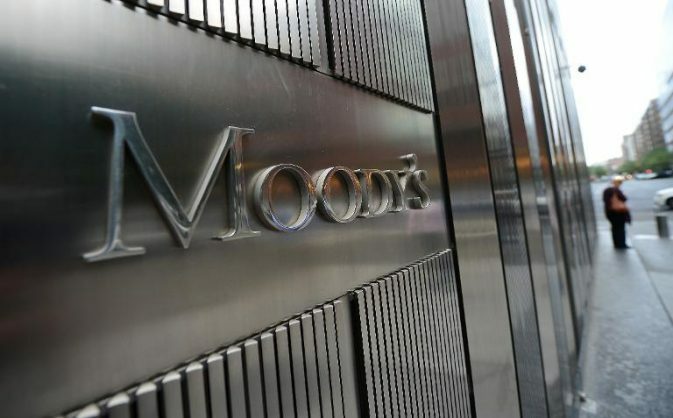 Moody’s has skipped making an assessment on South Africa’s sovereign debt once before, and the next ratings action will now only have to be announced on November 1. The other two major rating agencies, Standard & Poor’s and Fitch, had already downgraded the sovereign rating to “junk” in 2017, meaning only the Moody’s rating has allowed South Africa to stay on key bond investment indexes. Many institutional investors would be prohibited from buying South Africa’s bonds if its ratings were to slip further, which would lead to an outflow of investment estimated by some analysts to be worth about R100 billion. Sovereign credit ratings are an assessment of the risk a country carries, and affect the premium at which it can borrow money on local and foreign markets. Many analysts expected Moody’s to hold its fire until South Africa concluded its general elections on May 8. This would give President Cyril Ramaphosa, a former businessman generally favoured by investors, more political leeway to take the necessary tough measures to steer the economy on to a stronger growth path. Peter Attard Montalto, head of capital markets research at Intellidex, wrote in a column published this week: “Moody’s … is quite clearly showing an excess of hope despite their framework being meaningfully shocked in October 2018 (with the medium-term budget policy statement) and now after the budget (in February). “As such, we are unlikely to see any move in the rating level or outlook on Friday — indeed they may not release a report at all,” he said, in words that now appear prescient. Cannon Asset Managers founder and chief executive Adrian Saville said this week that, by rights, South Africa should have been downgraded a long time ago and had been cut a lot of slack by Moody’s. But speaking on talk radio 702, Saville said the agency would probably give Ramaphosa a bit more wriggle room. “The ratings agencies’ task is not just to make a call on economic landscape. It has to take into account social, political, institutional factors also and throw all of that into the pot before they make an assessment,” he said. The electricity crisis that saw state utility Eskom this month impose nationwide rolling blackouts, and an overall meek recovery in economic growth, had, however, raised the risk of a full downgrade. On Friday morning the price of 25-delta risk reversals, an indication of the difference in volatility, and therefore price, between puts and calls on the rand, had climbed to a seven-month high as investors sought to buy more protection against a sharp slide in the currency.